On May 15, the U.S. Treasury Department sanctioned four individuals and one bank for moving millions of dollars on behalf of the Islamic Revolutionary Guard Corps Qods Force (IRGC-QF) to the Lebanese militia and political movement Hizballah. One of the individuals was Valiollah Seif, Iran’s Central Bank Governor. Seif “covertly funneled millions of dollars on behalf of the IRGC-QF through Iraq-based al-Bilad Islamic Bank to enrich and support the violent and radical agenda of Hizballah,” said Treasury Secretary Steven T. Mnuchin. The bank and individuals were branded Specially Designated Global Terrorists. Seif has faced criticism from Iranian lawmakers, including calls for his dismissal, for not preventing the devaluation of the rial in April 2018. The Treasury Department’s press release is below. Today, the U.S. Department of the Treasury’s Office of Foreign Assets Control (OFAC) imposed sanctions on the Governor and a senior official of the Central Bank of Iran, an Iraq-based bank and its chairman, and a key Hizballah official, all of whom have moved millions of dollars on behalf of the Islamic Revolutionary Guard Corps-Qods Force (IRGC-QF) to Hizballah. They were designated as Specially Designated Global Terrorists (SDGTs) pursuant to Executive Order (E.O.) 13224, which targets terrorists and those providing support to terrorists or acts of terrorism. 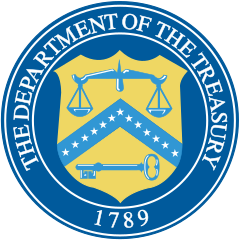 The last week move by US Department of the Treasury to include the name of the governor of the Central Bank of Iran and one of its directors on the sanctions list is a sign of the US’ blatant defiance of well-established international norms and rules including immunity of governments and central banks. Central banks play a role in shaping and implementing monetary policies and bringing monetary stability inside the countries and in the international system, so imposing sanctions on central bank officials is against customary and treaty obligations of governments to maintain international monetary policy. The US move, which indicates this government gives no weight to its international obligations, has prompted international observers to see the US government as an oath-breaker who pays no respect to international obligations. The Foreign Ministry seriously condemns the US’ unconventional and illegal move, and announces that the Iranian government and Central Bank reserve the right to adopt all legal and political solutions to counter the US Treasury Department’s move. The Foreign Ministry believes a continuation of such destructive and unilateral moves by the US could have unpleasant consequences for international ties in the monetary and financial sectors. "America is not in charge of everything in the world. Of course, Americans would like the whole world to think this way and when the world doesn't think this way, they take some angry actions such as sanctioning the head of the central bank without any reason." "We must expect more such moves by the Americans. These moves are against the law, contrary to conventional international relations and indicate their weakness." “Global reactions to the United States’ withdrawal from the JCPOA showed well that the US president’s illogical and unwise decision which runs counter to all international regulations has affected the credibility and increased the isolation of the US government and caused irreparable damage to the American people. The move also further proved that the great Iranian nation is right to regard the United States and its administrations as unreliable."